It’s not every day that ultra-luxury cars get a redesign. Many Bentley models have long model lifespans, with a redesign happening every 11-18 years, so it was rather surprising when the automaker announced the 2017 Bentley Mulsanne. Only in its seventh model year, the company’s flagship vehicle has been given some significant updates, both inside and out. 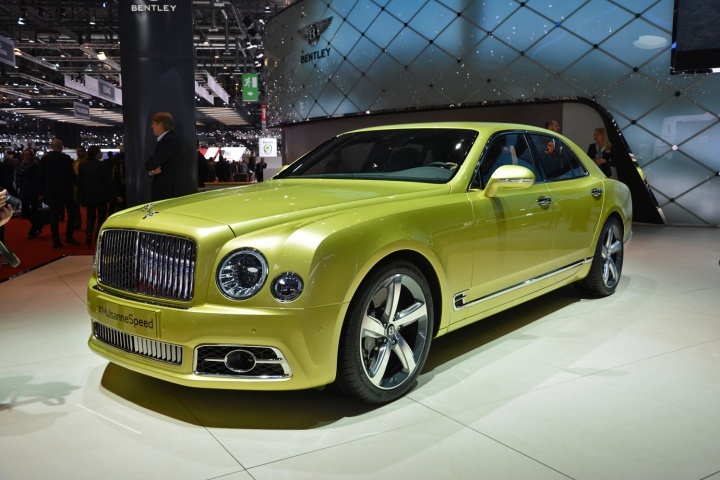 Are the changes too minimal, or are they enough to show deep-pocketed buyers that this is a new Mulsanne? Bentley redesigned the entire front end, and added a wider grille that now features vertical bars in front of the diamond mesh. The LED headlights have also been tweaked, with new housings and lighting elements that align horizontally at the bottom. Now, the fenders feature B motif vents. The lower grille has been split into three sections, with wide air vents in front of the tires with integrated foglights, while the center features the same vertical bars as the upper grille. Looking at the profile of the 2017 Bentley Mulsanne, not much has changed, with the character lines still flowing softly over the front wheel to sweep back over the rear. The wheels have been given a new design, now looking more vintage compared to the outgoing model’s wheels. At the rear, Bentley has updated the taillights, which now feature a “B” shape, rather than three stacked lights. The rear bumper has been given a slight update, and looks more rounded than the previous model. Inside, not much has changed from the outgoing model. The center stack retains its layout, with the infotainment screen embedded in the top of the dash, with air vents to either side. The HVAC and infotainment controls rest just below three gauge clusters, while the shifter retains its design and position in front of the center console. The steering wheel also keeps its design, with the mounted controls not receiving any updates. The seats themselves have been upgraded, along with the new glass and crystal-looking plastic switchgear. While most of the 2017 Bentley Mulsanne’s upgrades take place on the outside, the automaker paid some attention to the interior details, though the udpates will likely be hard to spot. Are these changes enough to keep this model fresh for the 1-percent, or are they too minimal? Let us know in the comments below. Last week, we asked for your thoughts on the 2017 Nissan Pathfinder, and reactions were split. “Refreshing. Nothing breaks new ground but they’ve managed to keep it fresh and up to date,” said Brian Rosado. “It’s difficult to make an SUV look good. This doesn’t have much distinction. Not revolting. Just not much anything. The interior isn’t bad but that wood grain pattern is horridly ugly,” said paulgoodwin1. “It’s somewhat refreshing, even though it does look like it’s ready to ‘explore’ malls,” saidRCD. “Looks hideous. I wouldn’t buy it, just based on exterior looks alone,” said Hayabrusa.